Harcourts Vision was opened with one key objective: give the community a level of service far beyond their expectations. Both directors at Harcourts Vision have grown up in the area and live locally. Giving back to the community is high on the priority list. Backed by a combined industry knowledge of over 30 years, Harcourts Vision offers all clients reliable, responsible and effective real estate services. 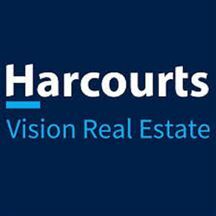 Harcourts Vision is purposefully located at the heart of the Keilor East and Avondale Heights suburbs – Milleara Mall. This location was the ideal choice as it is the very heart of the area. It is a true meeting place for so many of the local residents and it is very exciting to be a part of the day to day excitement of the area. With neighboring suburbs such as Avondale Heights, Niddrie, Airport West, Maribyrnong, Essendon and Ascot Vale, it’s little wonder that many buyers have looked to the area with great interest. The diversity of cultures, lots of sporting grounds, clubs, eateries, parks and of course the Maribynong River, it is only natural that so many people are looking to set down roots in this area. Basil Zoccali heads the Sales Division as an award winning Auctioneer, he brings to the team a solid dedication to customer service and the unfailing drive to achieve the optimum result for his vendors. Teamed with Basil, is his sister, Rosa Zoccali heading up the property management division. Property Management is an area which requires a great deal of specialised training and constant dedication, it is this level of professionalism that Rosa delivers to her clients. “We see Harcourts Vision as very much a part of the fabric of the community we serve. It is a place where people come because they feel valued, listened to, respected, where we can help them make their dreams come true. Awards for Excellence: Award Winning Auctioneer Born and Bred in the North-Western suburbs, Basil's local knowledge has proven to be a huge advantage in the Harcourts Vision office. Basil's passion towards sales started at a young age. Being involved in the family business, he understands that the only way to get the best results is to put in the hard work. His real estate career has seen him establish himself as a formidable auctioneer that always gets results. His dedication to his clients, both vendors and buyers is exceptional. The most exciting aspect of Basil's career is auction day. His greatest challenge is getting the very best price for his vendors and knowing that he has made their dream come true. These are just some of the comments Basil's clients have had to say: "We never expected to form a relationship with our Real Estate Agent, but with Basil, it was easy...", "I never expected nor have I ever heard of a Real Estate Agent going the extra miles or hours that you did to get the job done. ", "I would highly recommend Basil and team to anyone that is interested in selling their home." For exceptional local knowledge backed by the best possible competitive advantage in today's market, Basil and the team at Harcourts Vision are best positioned to maximize your real estate outcomes. So if you are looking for "the" local agent, choose Basil Zoccali as "your" local agent... "I understand that your home is your greatest asset, and my main goal is to constantly exceed my personal benchmarks. Only then do I know that I have done the very best for my client." This all adds up to give you confidence that when you choose Basil to sell your property, you are dealing with a thorough professional who has the skill and experience to realise the best sale price for you - and who will make the process a stress-free approach. An affable and easy going nature makes Pat a real estate agent with a difference. Anyone who knows Pat, and there are quite a few that do in the Moonee Valley area, will agree that Pat is approachable, loyal and true to his word. All skill sets that have been sadly missing in the real estate arena for far too long. Pat has spent the greater part of the past 20 years in sales, during that time he has consistently achieved and surpassed his own and his employer’s expectations. Having grown up in the Avondale Heights area, son of self-employed fruiterer, Pat knows that success is directly attributed to one key thing – Hard Work! Now living in Niddrie with his wife and two boys, Pat is heavily committed to the local community. A St Bernard’s Old Boy, a committee member of the Doutta Galla Football club Pat understands the true value of what it means to live in the Moonee Valley area and all the wonderful things it has to offer. Anyone who speaks to Pat will quickly see how passionate he is about his hometown and it’s with little effort at all that he is able to sell the benefits to anyone who would care to listen. Although his real estate work takes up a lot of his time, you just might see Pat chatting with friends at the Doutta Gala social club, so if you do run into him – just walk up and say hello, Pat is always keen to have a chat. As a proud member of the Harcourts Vision team, Nicholas believes in delivering a high level and support and assistance to all Harcourts Vision employees and clients. Having grown up in the Moonee Valley area Nicholas has extensive knowledge which makes him a great asset to his team and to anybody that walks through the doors seeking assistance. Nicholas completed year 12 at St Bernard’s College in Essendon and then decided to continue his studies at La Trobe University, where he studied Psychology and has continued his studies remotely. He is now the property manager. Nicholas understands the importance of honesty and trustworthiness and implements these quality characteristics when dealing with all his clients to ensure a seamless real estate experience. Nicholas is actively involved in the local community, he assists with the local football club and loves to play many different sports in his free time including basketball and football. Nicholas is an energetic and vibrant individual who enjoys the outdoors, and spending time with his friends and family. As a proud member of the Harcourts Vision team, Danielle believes in delivering a high level and support and assistance to all Harcourts Vision employees and clients. Having grown up in the Moonee Valley area Danielle has extensive knowledge which makes her a great asset to the team and to anybody that walks through the doors seeking assistance. Danielle previously worked in childcare for 4 years, and than moved on to be a flight attendant with Jetstar. Danielle than came to realise she wanted to get into Real Estate and pursue her new career. Danielle now controls the office reception and assists with the Property Management Department. Danielle understands the importance of honesty and trustworthiness and implements these quality characteristics when dealing with all her clients to ensure a seamless real estate experience. A well experienced professional with a bright, friendly disposition, Sarah is a highly valued member of the Harcourts Vision team. Hands on and highly adept in a range of roles, Sarah offers invaluable support to both the sales and property management departments, as well as valued clients to ensure they continue to receive the service levels the office is known for. In fact, Sarah has received a Customer Service Award for the personalised and attentive client care she consistently offers. A former interstate Property Manager for several years, Sarah is also a warm and welcoming receptionist, handling the desk and general office administration with ease and efficiency. She also looks after the marketing of clients’ properties. With qualifications in both real estate and business, Sarah well understands the importance of marketing properties to their best advantage. Handling both print and digital advertising with an expert eye, Sarah facilitates the delivery of carefully targeted marketing campaigns to attract the highest number of potential buyers, or indeed tenants, to any given property. Sarah’s extensive skills, combined with ongoing training and professional development, set her in very good stead for carrying out her daily work with confidence, which of course flows on to the clients she deals with on a daily basis. “It’s very important for clients to feel supported in their property transactions,” says Sarah. “They involve large sums of money. We like to work closely as a team to ensure that systems and processes are streamlined and that all runs smoothly. “We also draw on Harcourts’ extensive resources – whether in a marketing, technology, sales or property management capacity – to ensure every available resource is geared towards our clients’ best success.” In keeping with her busy, active role, Sarah is an energetic and vibrant individual who enjoy the outdoors, whether hiking, cycling or, after a busy working week, simply soaking it up and relaxing. Designed To Bowl You Over!